The name "Desvignes", in earlier times written "des Vignes", meaning "from the vine", is a clear clue to the type of farming this rural family has always specialised. Rarely has a family shown more attachment to its province and the heritage of its ancestors. Nicolas Desvignes, was a counsellor to the king, salt tax inspector in the Macon region, and deputy mayor. The Pasquier Desvignes family has been the owner of the Domaine du Marquisat since 1420. In 1823, César Desvignes, the "Man with the hat", took an oath with his brothers, promising that the name Desvignes would remain forever attached to the Domaine du Marquisat. 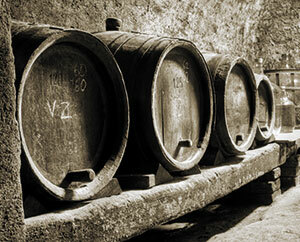 In memory of this pact, the house of Pasquier Desvignes, through the selection, vinification and storage of its wines, has perpetuated the ancestral know-how on which its reputation is built. Pasquier Desvignes is more than a tradition of wine-growing spanning 5 centuries, it is a great House. 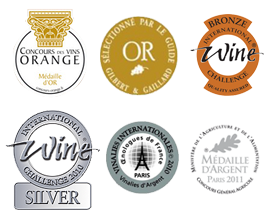 Over the years, it has successfully expanded its range of wines with best-knowed appellations such as the Rhône and the Burgundy. House of Burgundy with over 5 centuries of history and an premium positioning. Burgundy was the first wine-growing region where the Pasquier Desvignes family was present. The wine-growing area of Burgundy stretches from the Yonne department, in the north, to the Saône-et-Loire in the south. The famous Burgundy grape variety Pinot Noir, has built the fame and fortune of the greatest Burgundy reds. Chardonnay is used to produce the Burgundy whites. These wines are harvested all over the region on strictly demarcated plots called "climates", due to specific geological and climatic conditions. 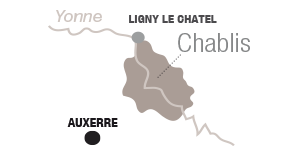 These "climates" give each Burgundy appellation a unique and remarkable organoleptic personality. Location: the heart of Burgundy. Colour: slighty golden yellow with emerald reflections. Bouquet: a complex Bouquet of flower and fruit with notes of dry fruit with a fine vanilla tang. Body: generous and full with a touch of mineral and a bright and lingering fresh finish. Wine & Dine: ideal for fish, frog legs and goat's cheese. Soil: marl & soft limestone. Colour: beautiful cherry red with slight blick-red shades. Bouquet: an intense aroma evoking blackcurrant blended with fine spices. Body: generous and mellow, combining boldness and vivacity for a lingering aromatic finish. Wine & Dine: Ideal for roast poultry and beef. Cellar life: 3 to 5 years. Bouquet: floral aromas with a hint of fruit, lightly smoked, great intensity. Body: well-balanced and smooth, slightly buttery with a bright, fresh finish. Wine & Dine: recipes with scallops, fish in sauce. Further to the introduction of wine origin appellations in 1936, the region of Beaujolais was attached to Burgundy to form what is now called "Greater Burgundy". Beaujolais can be split into 2 majors areas: the North is composed of granite and shale soils, suited to the development of great vintages. The South is composed of clay-limestone soils ideal for the new wines, also called "primeurs". This is a land in its own right rich in history and customs. Gamay, a typical white juice grape variety, is the secret of the Beaujolais wine. This North/South interchange was the thinking behind the decision of the Desvignes family to extend its range and include Beaujolais wines. 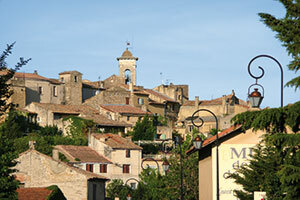 Location: the heart of Beaujolais, close to Villefranche-sur-Saône. Colour: ruby with deep purple shades. Bouquet: fine and fruity with hints of small red fruits. Body: smooth and light, lively, very pleasant with a lingering fruity finish. Wine & Dine: delicatessen, roast pork, poultry. Colour: Powerfull ruby, bright and limpid. Bouquet: red fruit combined with intense spices. Body: smooth and structured with silky tannins, well-balanced. A bright finish to sustain a lingering taste of fruit. Wine & Dine: white meats, chitterling and regional cheese. The vineyards of the Rhône region are very different to those of Burgundy and Beaujolais. This is probably the wine-growing area in France with the greatest variety thanks to of the diversity of soils, climatic influence and grape varieties. The stony clay-limestone soils produce thick, generous, Coloured and full-bodied wines with potent aromas. During the years of poor harvests or crops affected by frost in the other two regions, the inclusion of Rhône wines has helped to offset losses and offer complementary and non-competitive wines. This vineyard was the last to be introduced into the Pasquier Desvignes range. Colour: ruby with deep purple reflections. Bouquet: intense, fine and fruity aromas with a spicy base. Body: a keen opening with fullness and elegance; overall well structured and harmonious. Wine & Dine: ideal with grilled lamb, veal or duck recipes. Grape: Grenache, Cinsault & Shiraz. Soil: red clay on white limestone. Colour: powerfull red with shades of deep purple. Bouquet: lingering aromas of spice and pepper blended with macerated fruits. Body: a mellow, fortright and structured opening, a well-balanced, fruity and harmonious wine, a little firm when very young. Wine & Dine: broiled grilled beef ribs, game pâté in pastry, strong cheeses. Châteauneuf-du-Pape is the best known of all Côtes du Rhône wines. In the Middle Ages, the city of Avignon became the summer residence of the Popes. This papal presence was instrumental in the growth and international renown of Châteauneuf-du-Pape. The "Coteaux" (gently sloping vineyards) are situated between the towns of Avignon and Orange in one of the most beautiful landscapes of Provence. These wines reveals real body and generosity qualities. Nevertheless, these wines also age & mature with grace. Grape: Shiraz, Grenache, Mourvèdre, Counoise, Picardan, Cinsault, Muscardin et Terret noir. Soil: terraced strata of clay with large rounded stones, clay-limestone soils and Barremian limestone. Colour: very deep garnet red. Bouquet: small red fruits and spices. Body: expansive, round and full. Wine & Dine: game duck, guinea fowl, pigeon and cheese with character. Cellar life: 3 to 6 years. Pasquier Desvignes, a complete range regularly hailed by professionals. Copyright © 2013 Groupe Grands Chais de France. All rights reserved.